Mast and boom dismantled and repainted with Awl-Grip. Rod rigging checked with ultrasound. Hull, deck and keel join ultrasound. All the deck equipment dismantled and serviced. New electric cables in the mast. New bilge paint with epoxy. 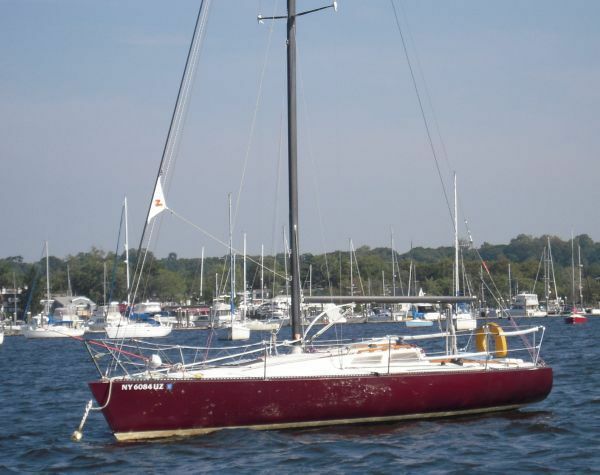 TEMPTATION was built in 1983 at the behest of the New York Yacht Club Commodore, John Santry Jr, who entrusted the design of his race boat to a then young and determined German Frers. 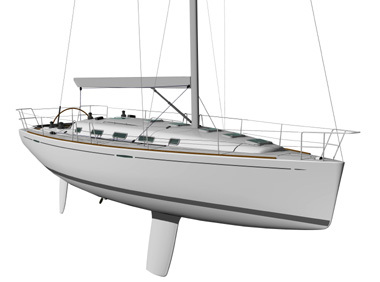 His design brief to Frers was to create a small Maxi IOR able to win all the races under the IOR rating with the strength, rigidity and sea-manners to easily cross the Atlantic on her own bottom. A special aluminium alloy (DAA 72722) was chosen as the construction material as it was guaranteed to offer the best compromise between lightness and rigidity, and also because John Santry was the owner of one of the foremost aeronautical design studios of the time, and therefore able to apply its deep knowledge in the structural calculations of the project giving it a strength without equal and the correct distribution of weights and dynamic loads. Having chosen the best designer of the time and the best construction material, the next step was to choose the best builder, and this task fell to the Newport Offshore Shipyard, former creator of the Defender of the America's Cup and very skilled in working with aluminium construction. The end result exceeding all expectations. TEMPTATION was blisteringly fast at all speeds, had a favourable rating under IOR, and her exceptional seaworthiness allowed her to beat in real time much larger boats when the sea conditions were rough. 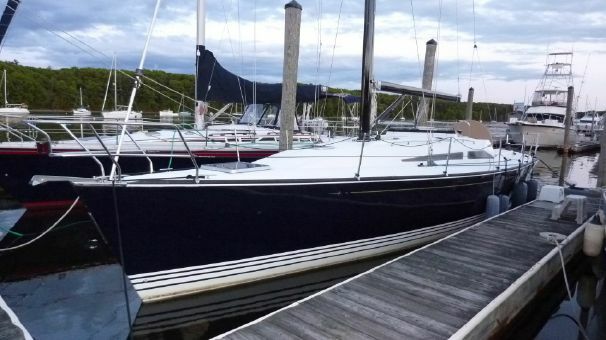 For the following three seasons TEMPTATION dominated all the regattas on the east coast of the United States, and then, after crossing the Atlantic, she entered the legendary Fastnet Race where she stole the heart of Italian shipowner Riccardo Bonadeo. August 1988 - Porto Cervo - Maxi Yacht World Championship. 1° place. September 1988 - St. Tropez: - Nioularge. 1° place Overall, plus 1° in her class. May 1989 - Portofino - Trofeo Ermenegildo Zegna. June 1989 - Porto Cervo - Settimana delle Bocche, Trofeo Navarma Lines – 11° place Overall, plus 1° in her class. September 1989 - St. Tropez - Nioularge - 1° place Overall, plus 1° in her class. May 1990 - Porto Cervo - Settimana delle Bocche - 1° place Overall, plus 1° in her class. 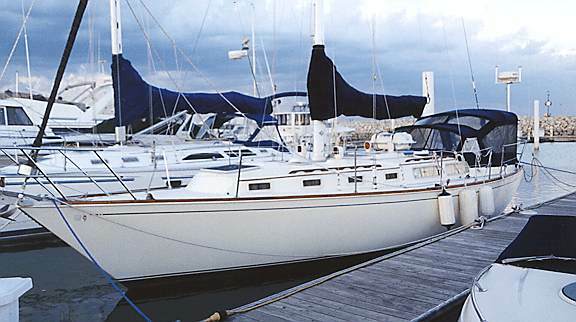 December 1990 – Ocean Crossing (Portofino - Barbados). April 1991 - Antigua Sailing Week. March 1992 - Portofino - trofeo Ermenegildo Zegna - 1° place Overall, plus 1° in her class. August 1992 - Palma de Maiorca - 1° in her class. October 1993 - St. Topez - Nioularge - 1° place Overall, plus 1° in her class. With the advent of the IMS racing rule, RROSE SELAVY ended her absolute racing dominance. With her name changed by to TEMPTATION she was entrusted to the skilled workers of the Cantiere dell'Argentario and with the collaboration of Wally Yacht, this glorious ocean greyhound evolved into a stylish and practical, fast and fun performance cruising yacht. Her interiors were remodelled to create a light and airy ‘New England’ style, complete with numerous comfort upgrades including generator, watermaker etc etc. 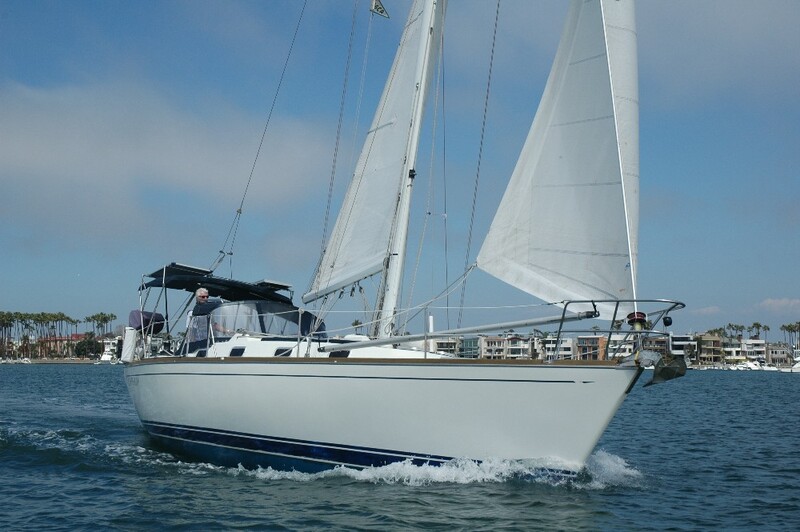 On deck, her equipment layout was simplified to allow for easy sailing with a crew of just two. 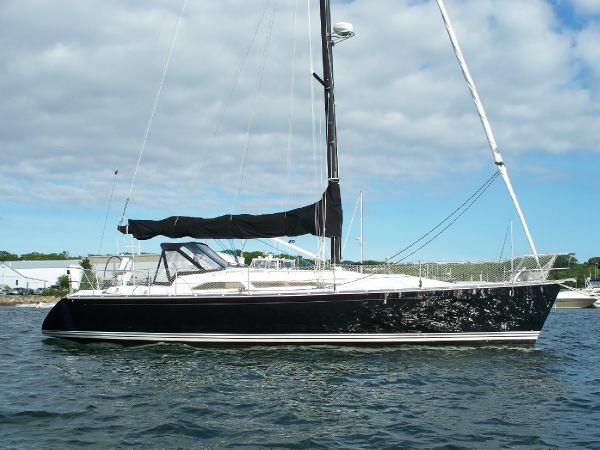 Once again, TEMPTATION excelled in her new role and following her recent refit, she is now ready to go racing or cruising in absolute comfort, safety and style. Topsides sprayed in Awl Grip white paint – repainted 2009/2010. Hull Awl Grip blue paint – repainted 2009/2010. Max Prop propeller three blades. Lightweight aluminium steering quadrant bolted to rudder stock. 12vDC primary domestic system with 12vDC starting circuit and 220v AC via shorepower or Generator. Automatic battery charger for service batteries. Hot water supplied by engine-driven calorifier and 220vAC immersion heater element in well-insulated 80 litres hot water tank. Water maker with a production of 90l/h. Electric bilge pump system divided into areas: sail locker, lazarette (2x pumps), saloon area and engine room. 600 litres total fuel capacity in two aluminium tanks plus two stainless steel tanks. 1000 litres total fresh water capacity in two aluminium tanks plus two stainless steel tanks. Refrigerator: 2 x Refrigerators in galley. Up to 6 berths in 2 cabins plus 2 further crew berths in forepeak. Master stateroom aft with double bed at side. Crew cabin in bow locker with two bunk berths and heads. Galley starboard opposite chart table. Spar built by Sparcraft. Faired and painted white. Three spreader rig with discontinuous rod-rigging. Hydraulic for vang, backstay, main base with in boom. All winches are from Barient. 2x primary coffee grinders with two pedestals. 2x coffee grinders with one pedestal. 7x at the mast base. Carbon fibre Passarelle very lightweight. The Lewmar vertical 1500 electrical windlass is recessed in the fore deck.